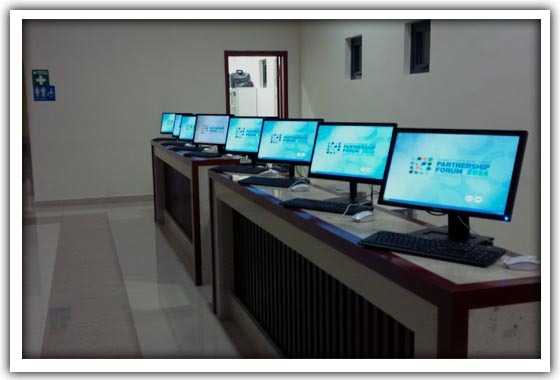 The Montego Bay Convention Centre has an ongoing commitment to providing the latest in technological services. To that end, we are pleased to offer our clients the capability of setting up a video conference. Our convention facility can provide this service in all of our meeting rooms, exhibit halls and ballrooms. Video conferencing is established through broadband internet service. Our capabilities include up to 12 channels at 768 KBPS. We have two-way video that can be placed anywhere within our convention facility and connected to one or more distant locations via satellite only. If you need it, we also can provide a satellite downlink. No matter what your video conferencing needs might be while you are at the Montego Bay Convention Centre, our conference facility staff are committed to providing you with unparalleled customer service in meeting those needs. Internet service can be obtained through Montego Bay Convention Centre from our list of preferred service providers. The high capacity fiber network throughout our conference facilities makes high-speed Internet access possible, custom VLAN applications, secure networks, video conferencing (cabling infrastructure support only), and wireless Internet hotspots. All function areas have been wired for Internet access, whether demonstrating your website, performing online product demonstrations or communicating with your corporate offices, their reliable network and professional staff will give you the opportunity to plan your event with confidence. The Wireless service is provided by Montego Bay Convention Centre and is available throughout all the common areas, lobbies, meeting rooms and ballrooms in our facility. This service is designed specifically for the event attendee who would like to access the internet with simplicity. Daily and up to weekly rates are available depending on your event timeline. This online service is purchased on location only upon connecting to the wireless WiFi system. Please remember, sessions are based on time, so if you purchase a daily session, the session will begin as soon as the purchase is made and the session will be valid for the duration of the service purchased. 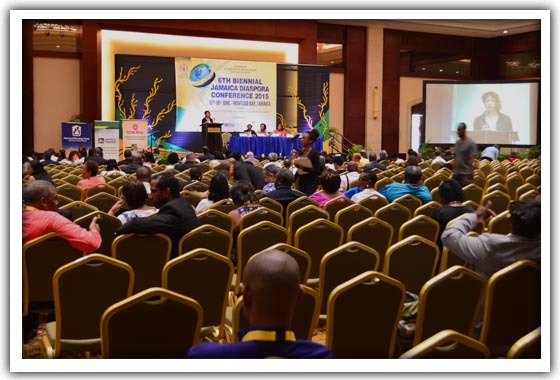 We have several programs available for meeting planners and event sponsors; this is an opportunity to generate revenue from a sponsorship program from the Montego Bay Convention Centre’s wireless network. Wireless Internet (Wi-Fi) can possibly be slow when streaming video or connecting to a VPN (Virtual Private Network). The bandwidth is 128kbps bi-directional and it can affect your internet video viewing experience and possibly not connecting to a VPN. The Wi-Fi service is intended for simple connectivity such as web browsing and email viewing, among other simple applications. It is recommended to consider a premium wire line service when running a video streaming presentation or connecting to a VPN.